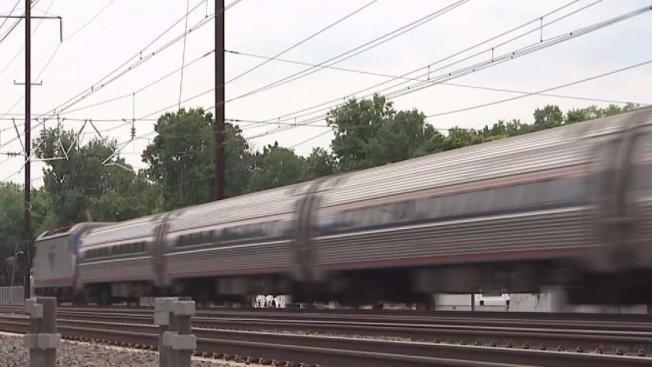 A plan to upgrade part of Amtrak's Northeast Corridor in order to accommodate high speed rail travel was supposed to be completed last month -- but the I-Team has learned the railroad operator is now projecting a finish date of November 2018. Chris Glorioso reports. A plan to upgrade part of Amtrak's Northeast Corridor in order to accommodate high speed rail travel was supposed to be completed last month -- but the I-Team has learned the railroad operator is now projecting a finish date of November 2018. The project price tag has also risen 14 percent, from $450 million to $514 million. The high speed rail upgrade was originally funded by the American Reinvestment and Recovery Act of 2009. It includes the installation of hundreds of catenary structures to support new overhead electrical wiring along a 23 mile stretch of the rails between Trenton and New Brunswick. A 2015 report from the Amtrak Office of the Inspector General found “the program’s cost and schedule problems are directly attributable to weaknesses in program management and oversight." 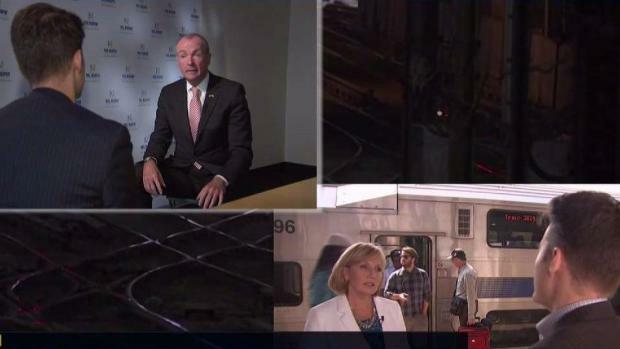 Governor contenders offer different solutions for the commuter crisis. Chris Glorioso reports. The same report found "gross mismanagement of funds and resources" by a previous manager on the high speed rail project. "Clearly it did not get off to the great start that we would have preferred," said Scot Naparstek, Amtrak's chief operating officer. "The launch of the project would have been very different today." Since the OIG report, Amtrak has made sweeping changes to the way it oversees capital construction projects, including hiring Sarina Arcari, an accomplished program manager who now monitors all major construction efforts and looks for ways to make them more efficient. Despite efforts to get the high speed rail project back on track, the delays raise concerns about Amtrak’s ability to complete other capital upgrades on time and on budget -- including the rebuilding of tracks in New York's Penn Station this summer. Martin Robins, Director emeritus of the Rutgers Voorhees Transportation Center, said the Penn Station track renewal is too important a project to fail. But he did express concern about Amtrak’s overall track record on repairs. "If you look at the record of Amtrak on other projects, capital projects, it is really quite mixed,” said Robins. "There is obviously built-in worry at Amtrak that they have not built an engineering team that is up to what can be a massive task." Robins suggested Amtrak should cede some control of its capital and maintenance efforts and allow commuter railroads NJ Transit and the Long Island Rail Road to play a bigger role in carrying out big track projects. But Amtrak points to other capital projects that have played out more smoothly than the high speed rail upgrade. Last month, the rail operator successfully launched a second track between Albany and Schenectady -- on time and on budget. Amtrak says the building of another new track between Hartford, Connecticut, and Springfield, Massachusetts, is going according to plan. Charles “Wick” Moorman, co-CEO of Amtrak, said commuters should have complete confidence that the mismanagement that befell the high speed rail upgrade in New Jersey will not spread to the renewal of Penn this summer. "I don't think that what happened with New Jersey High Speed Rail has any correlation at all to what we're doing with Penn,” Moorman said.